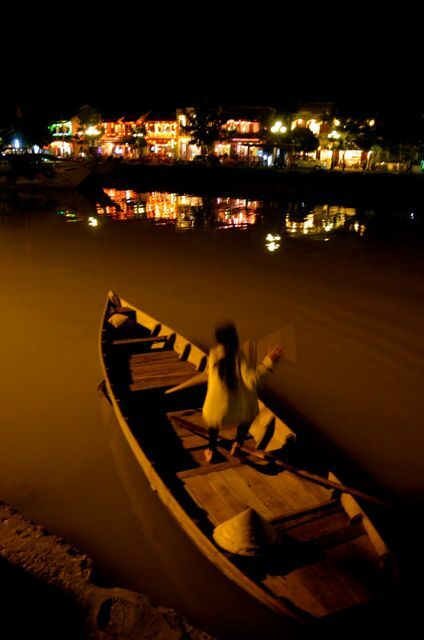 If you plan to visit Hoi An and are feeling romantic when you do, consider taking an evening boat ride on one of the small vessels. The locals are eager to rent them for half an hour or more. 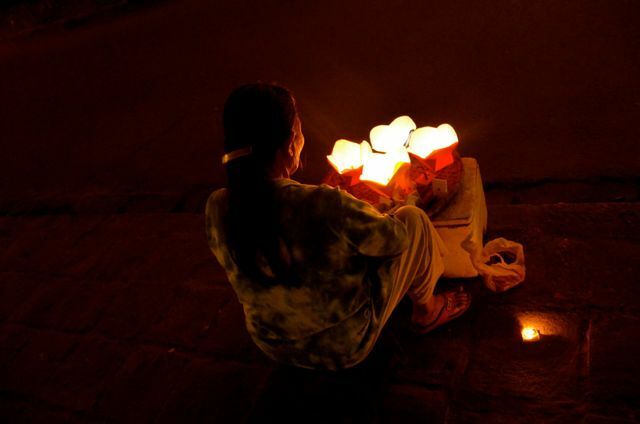 From there, you can send a delicate luminary or two off on a midnight journey. 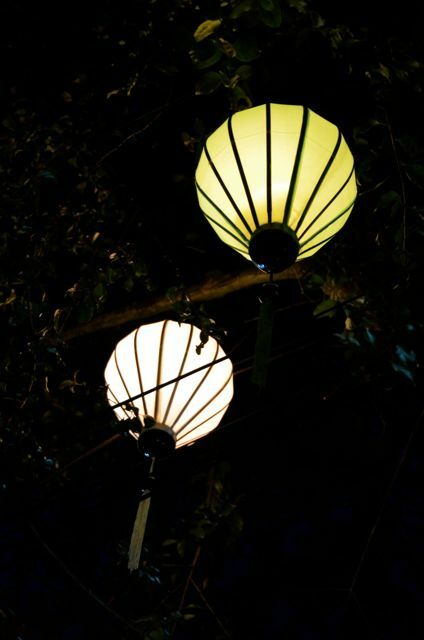 Enjoy some light wisdom while taking a virtual stroll through the lantern-adorned streetscapes pictured here. Photography & text © Tricia A. Mitchell, unless otherwise noted. All Rights Reserved. Sarah, thank you for the reciprocal congrats on the Washington Flyer Best Blogs nod! I had been in the market for a new look for my blog for a bit of time, then very spontaneously took a liking to this one when I saw it so nicely modeled by another photography enthusiast blogger. I decided to give it a whirl myself. 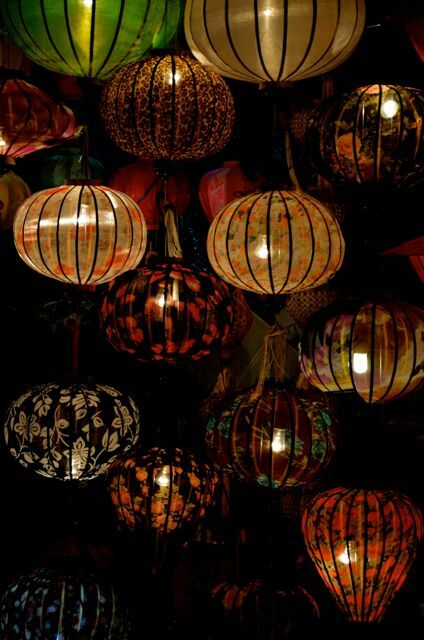 I loved the lanterns in Hoi An – gorgeous images here, thank you. We really enjoyed the Red Bridge Cooking Class and the general ambience of the town. 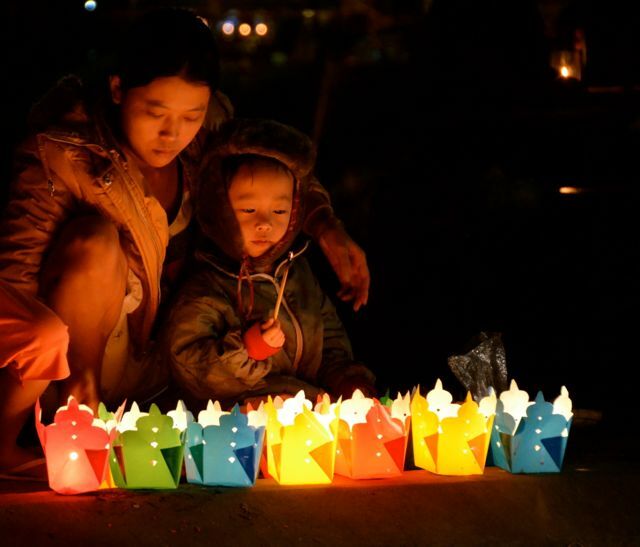 So lovely at night – especially when they had candles floating down the Thu Bon River. A magical little town. These are all absolutely gorgeous Tricia! Particularly like the one of the mother & child! Hi Madhu & thank you! 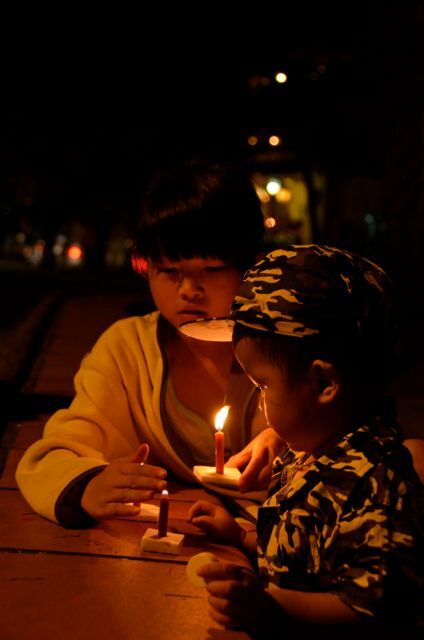 I was drawn to that scene as well; I really liked the gentle lighting on their faces, and the child’s sense of wonder while investigating the flame. Oh, Tricia, once again you take me to a place that I want to stay longer. 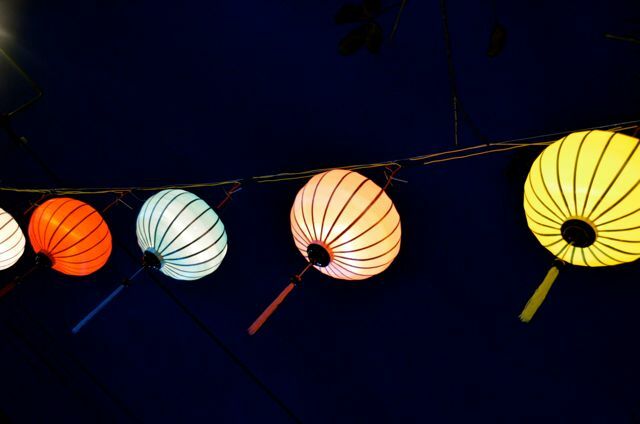 Your photos are a work of art and the quotes are “illuminating.” No pun intended. Lynne, it seems we’re both longing for Asia! 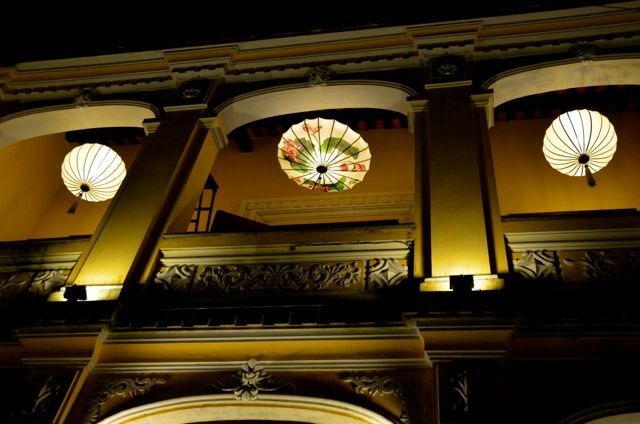 Did you visit Hoi An and Luang Prabang on your same trip, and if so, how’d you get from place to place? And, pun or no pun intended, I love and am flattered by your comment. Glad you enjoyed the images and the words of wisdom to accompany them. After Vietnam, we went to Cambodia and then flew to Luang Prabang. 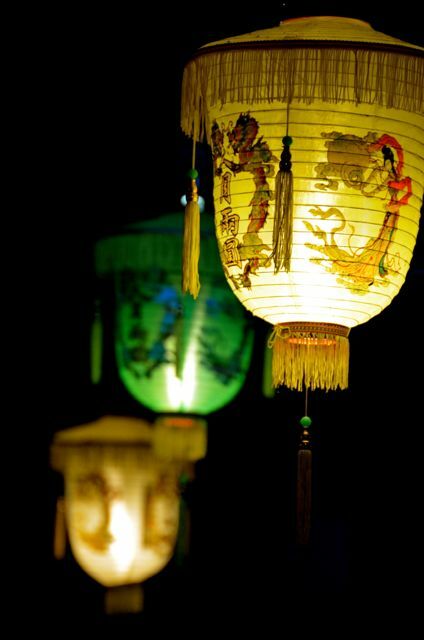 Love the variety of colors and shapes of the lanterns. Absolutely wonderful. Thanks again for the travel inspiration. Cheers. 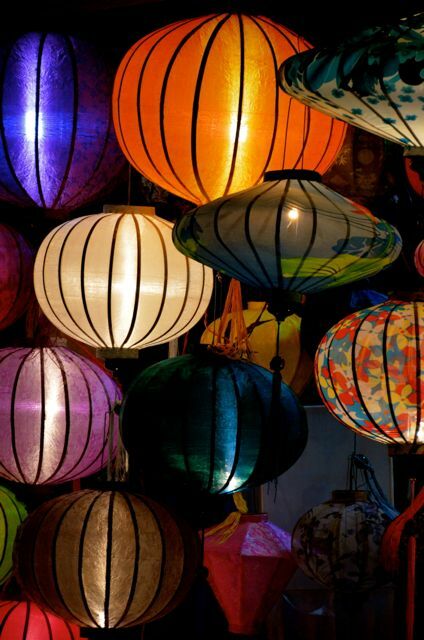 A great post Tricia, which brings back happy memories of our trip to Vietnam. One day I will finish my series on that trip. Tricia, we did a rather intensive 12 day package tour, which didn’t allow much time for a really good photographic experience. 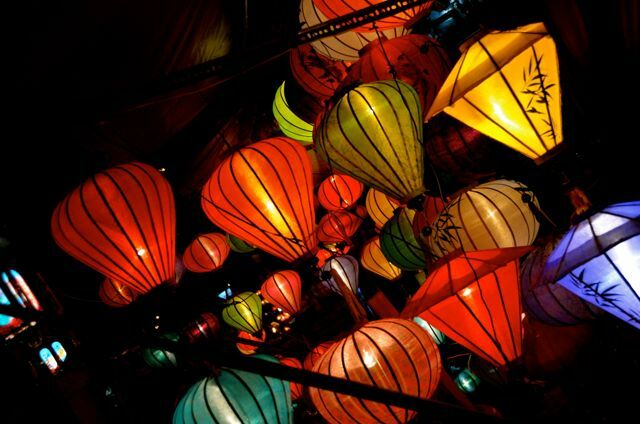 It started in Hanoi and finished at Ho Chi Minh City, with internal ‘hop’ flights down the coast. Our trip was in March 2010. so it is proving quite difficult to organise my thoughts, which has delayed posting somewhat. Your excellent posts have inspired me to finish the job though. I just need some spare time. It’s hell being retired! David, that’s nice to hear that my posts have inspired you to create yours! That’s one beautiful thing about taking lots of pictures. Whereas I’d love to keep a travel journal (and should record the details) sometimes the busy days just don’t allow for it. That’s where pictures come in and serve as a wonderful visual journal. 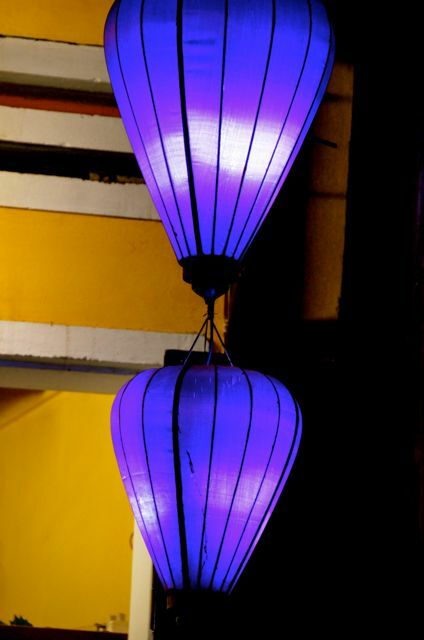 I can’t wait to see your impressions of Vietnam now! Vielen Danke, Cornelia! 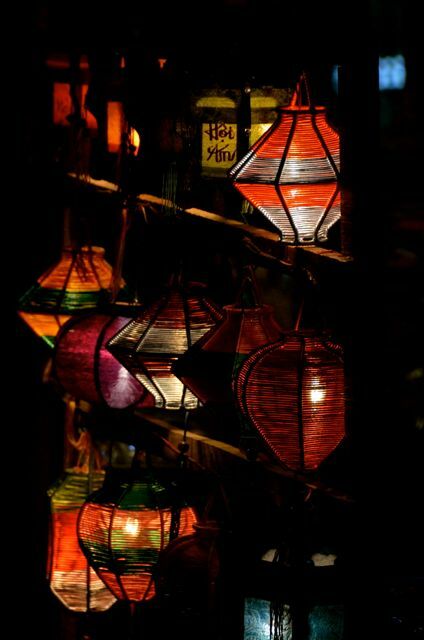 The Hoi An lanterns were so lovely – it only seemed fitting to intersperse them with words of wisdom. Hope you’re well and enjoying the summer. I’ve been away from Deutschland for 2 months and I miss it. Tricia, I know what you mean by missing Germany, I miss the lush green meadows, die frischen gruenen Wiesen und Felder and the smell of deep forests and the lakes to swim in summer time. But hey no complains I get to swim in the pacific ocean here in California. 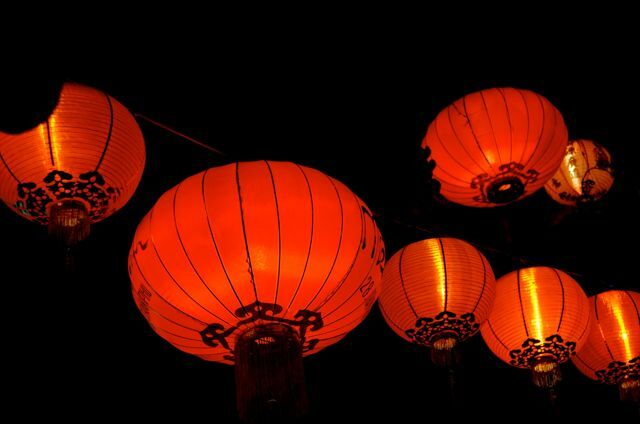 The other day I was in “Little Tokyo” downtown Los Angeles and there were red lanterns all over the place happyly dangling in the wind and I had think of your images. Be well…. It’s nice to see a bit of German sprinkled in your comments. I’ve found that since I’ve been away from Germany for a few weeks that my vocabulary is getting more and more rusty. Lovely photos, all of them! Great post Tricia! Marina, so glad you enjoyed them. 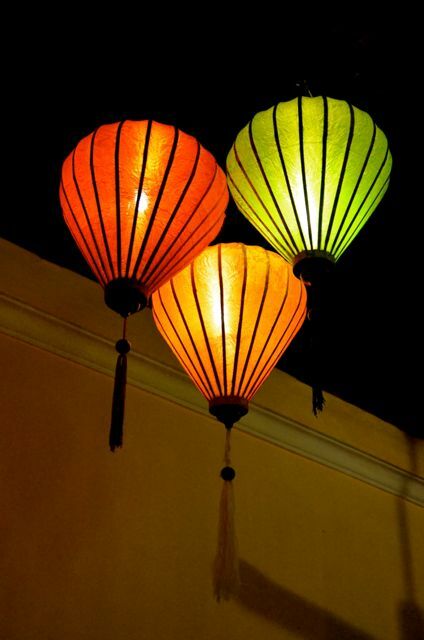 I sure think it would be fun to incorporate a mélange of lantern types into a home! 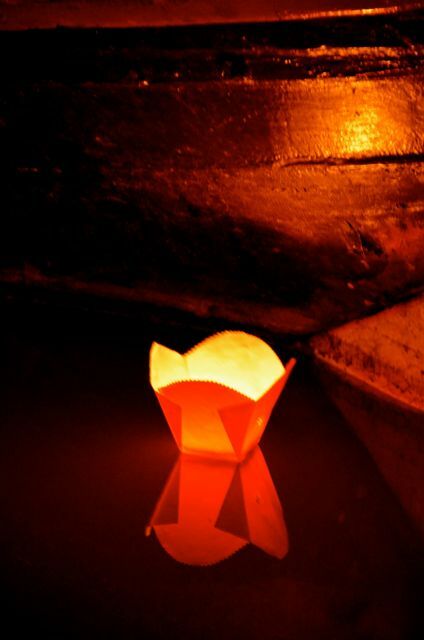 Stunning post as usual Tricia, love the one of the kids lighting the candles and the figure in the boat is great, sense of movement and calm together. Hello Mark! Thank you for the flattering words. Those little ones had mischievous and engaging personalities! 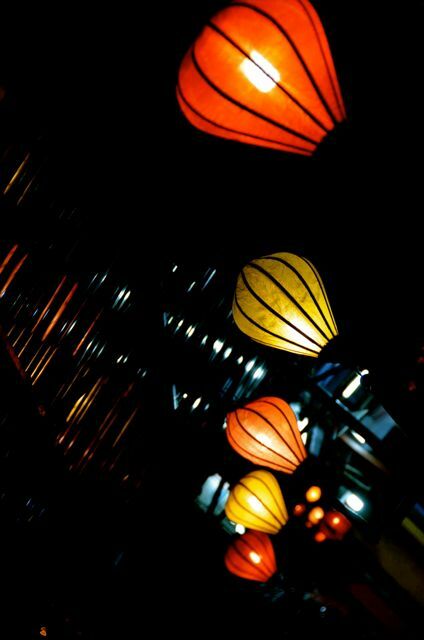 I think their mother was selling paper lanterns across the way. It’s fun to observe the similar behaviors kids around the world exhibit, even if they’re from what seem like very different cultures. Great series of photos. Nice to see what we missed. The streets along the river were flooded most of the time we were there. 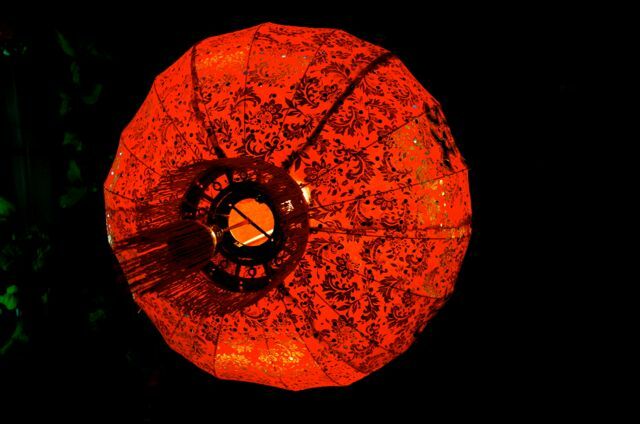 Regret not buying some lanterns to bring home. Next time! What a fabulous post, Tricia. 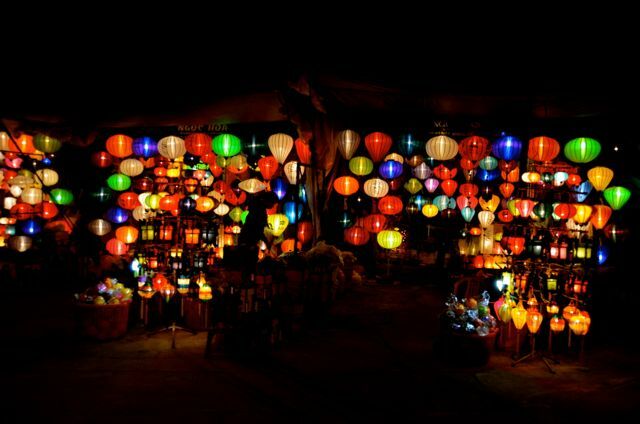 I’ve read about and seen lots of features on Hoi An, and if I ever make the Far East I will definitely be drawn there. Thank you for stopping by, Real Footprints. Are you in Bangkok now? How I miss the fresh mango and pineapple! I’ve been living in Bangkok for almost 3 months, and one of my favourite things is street fruit and motorbike taxis. Great, I’ll check that link out. Thanks. 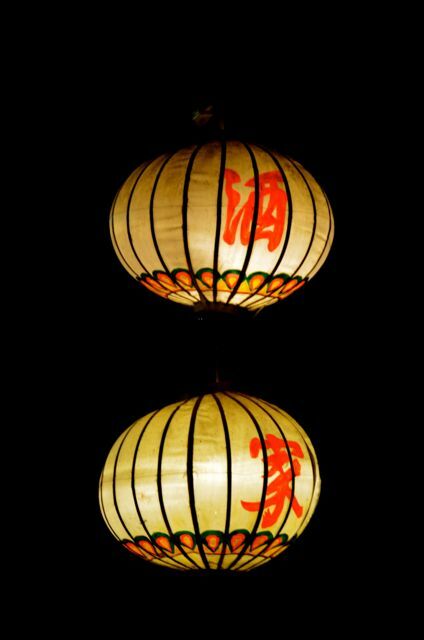 I like to make simple paper lanterns for Chinese New Year, but I’ve never made anything ‘fancy’ before…but this post inspired me, so maybe the next time around! This is gorgeous, Tricia. I love the rainbow of light shots interspersed with beautiful quotations. Pure class. Your photos are gorgeous! I’m going to have a serious conversation with my camera and let it know that it needs to pick up the slack! It’s seems unlikely the failings would be my fault…. Hope to get to Vietnam! 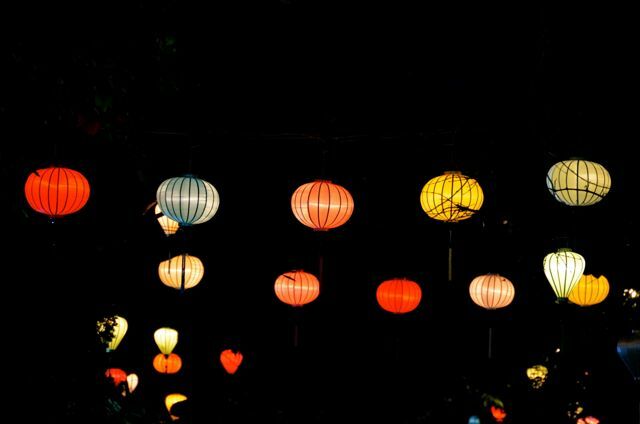 Vietnam is a magical place. We were lucky enough to see most of the main cities. Sapa, however, has so far been elusive. I hope to make it there sometime soon! 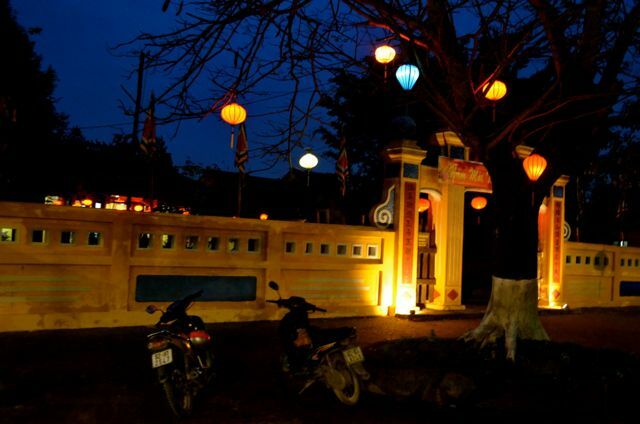 Tricia, such wonderful pictures of Hoi An, its lanterns and luminescene! And, great choice of quotes too. Hello Mark, and thank you for your kind comment! As I was perusing your site earlier today, I read that you’re originally from Vietnam. In which city were you born? Have you been back? 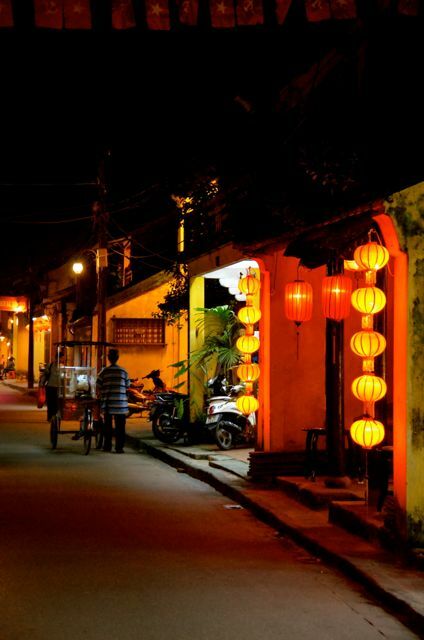 Hoi An was really a delightful stop as we made our way north from Saigon/Ho Chi Minh City. So much history, quirky architecture, and much culture. I hope to return again someday soon, as our boat ride and cooking class there were some of our trip’s highlights. Hi Tricia, yes I am from Vietnam and was born in Da Nang, so not far from Hoi An… one reason I’m quite a fan of the Central Coast. I have been back a number of times. 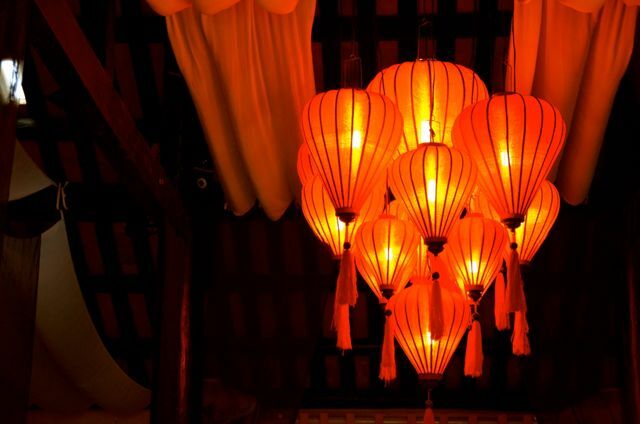 Hoi An can be a quirky place as you mentioned, and such wonderful traditions like with the lanterns, art, cooking and fantastic beaches. Mark, we drove through Da Nang on the way to Hué. I’d like to return to Vietnam again – Sapa looks particularly special! Are there any other spots you can recommend? Yulia, I’m excited for you! 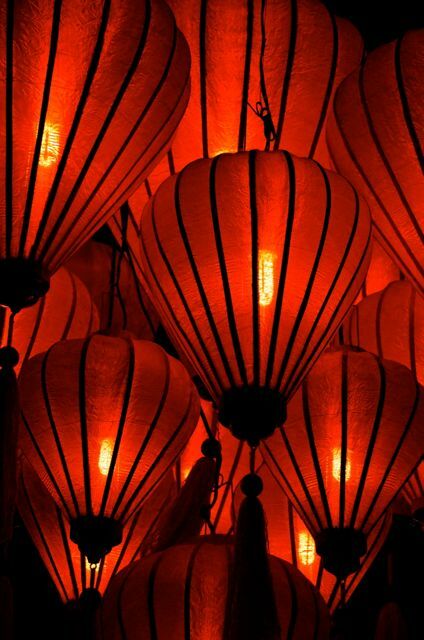 I’ve been to the north (Hanoi and Ha Long Bay) and also along the coast (Ho Chi Minh, Mui Ne, Hoi An, Da Lat, Hue, Vinh, over into Laos), so I’m happy to help if you have any questions. For how long are you planning on traveling there? Yulia, I think you’ll really enjoy Turkey. I was in Istanbul about ten years ago and enjoyed the architecture, cuisine, history, talking to the locals, and strolling through the Grand Bazaar. When do you leave for your big adventure? Sounds really fun, Yulia; my husband hasn’t yet been, so I think a return trip is in order for us too – which I’d be thrilled about. Beautiful post! I was blown away from the moment I visited your home page, it’s absolutely gorgeous. That’s kind of you to say, Genevieve. Travel and photography are two of my passions, and blogging is a fitting way to combine them. Enjoyed seeing your posts from France. How long were you an exchange student / visitor there?